We get to meet so many awesome dogs! The holidays are just around the corner! We encourage you to book ahead, if you know the dates you will be away for the holidays. Our kennel books up fast. They get lots of love, time to run and meet new friends in our clean, heated kennel. LLooking for something special for the horse lover in your family? between the hours of 8:30-5:00 Monday - Saturday until December 23rd, 2018. There is no expiry date on the coupons. No Expiry Date on coupons. Coupons can be redeemed after December 25th, 2018. 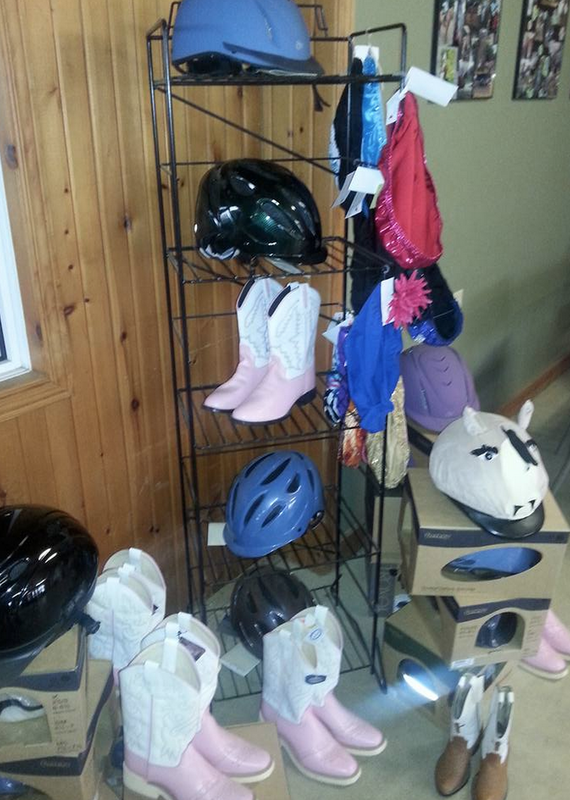 Helmet covers at $20.00, $25.00 and $30.00. Lots of colours to choose from. Specially designed and made by Cindy Jenkins-Smith. If you have a special colour request, be sure to speak to Cindy. $50.00 + tax a helmet. lady sizes sm 5-6, med 6-8, large 9-10. Will not fall down in your boot and will not cut off circulation. Hand made from a 4 way stretch wicking fleece to keep your foot dry and warm. Ask our staff about Gift Certificates available all year round. Lessons, Birthday Parties, Saturday Farm Fun and More!